Arrol Kitchen Co - Bathrooms, Bedrooms, Kitchens based in Bourne End, Buckinghamshire. 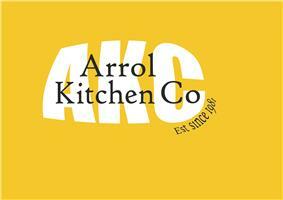 Arrol Kitchen Co. Ltd was established in 1981 by James Arrol in Kirkintilloch, Scotland. Jim started kitchen installations in his local area and by customer recommendations the work load kept growing. By the end of the year, the company expanded into bedroom and bathroom installations also, and Arrol Kitchen Co. Ltd had been firmly established. By 2004 we had gained a second installations contract for another major DIY store and our team of skilled installers, qualifications, accreditations were rapidly growing too. In 2006 Arrol Kitchen Co. Ltd expanded and started to supply, design and install beautifully fitted kitchens… and by 2008 we supplied high quality bedrooms and bathrooms as well. In 2011 we decided to open our first showroom in Bourne End showcasing the finest affordable kitchens and installation craftsmanship. Our team of designers are friends, family and colleagues who have worked as a part of Arrol Kitchen Co. Ltd for many years and we are confident that with our skills and knowledge combined we will help you to achieve your dream room from start to finish.